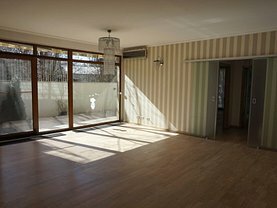 Penthouse tip duplex superb, zona Eminescu! 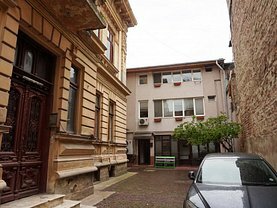 Apartament superb de vanzare, Eminescu ! 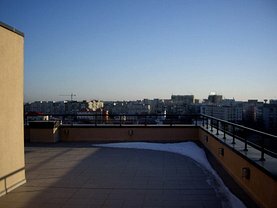 Apartament superb de vanzare, 13 Septembrie! Vila de vanzare, zona centrala! 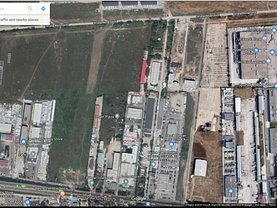 Vila cu piscina langa padure. Home is the place where you feel free and comfortable, where you find happiness and peace of mind. Home is where you always have your loved ones close to you, where you have family dinner on Sundays, movie night on Mondays and morning cuddles every day. Serving the romanian relocation and real estate market for over 18 years, we have come to learn the importance of "just the right home" for each and every one of us. More than 400 expatriate families relocated per year is what we take pride in most. We build partnerships and not business transactions and we always put the client's best interest first. We have learned to value each customer as a friend, to search for the best possibmai mult...le solution to suit their needs each time we relocate a family. But most of all, we have learned to CARE for every single move. And we think this is what sets us apart and makes us great! Focusing on expatriate clients, from families to couples and singles that come to live in Romania for a longer period of time, long enough to need a place to call HOME, we are proud to say that we have come to understand the lifestyle of an expat better than anyone else. Tudor Estates has an impressive portfolio of properties in the best residential areas in Bucharest and successfully represents some of the biggest multinational companies that have established offices in Romania. We have many satisfied clients to account for, an unique and most helpful city tour accompanied by our very own printed city guide, custom made to help you get accustomed to the city easily and trouble free. By offering a wide range of services, Tudor Estates wants to help the newly arrived expatriates, such as families, couples and singles, to enjoy an accommodation as smooth as possible. During your stay in Bucharest, we want you to benefit from our expertise, connections around the city, but most of all we want to be a trusted partner and this is why we have come to offer our clients a private dedicated line that you can call on 24/7. We, at Tudor Estates believe that "It's not the journey, it's the destination" that matters, because either you are a resident or an expatriate delegated here with work and you are staying for a definite period of time, at the end of each day "your every journey ends home". Therefore we have made it our only goal to help in getting you HOME. Home is the place where you feel free and comfortable, where you find happiness and peace of mind. Home is where you always have your loved ones close to you, where you have family dinner on Sundays, movie night on Mondays and morning cuddles every day. Serving the romanian relocation and real estate market for over 18 years, we have come to learn the importance of "just the right home" for each and every one of us. More than 400 expatriate families relocated per year is what we take pride in most. We build partnerships and not business transactions and we always put the client's best interest first. We have learned to value each customer as a friend, to search for the best possible solution to suit their needs each time we relocate a family. But most of all, we have learned to CARE for every single move. And we think this is what sets us apart and makes us great! Focusing on expatriate clients, from families to couples and singles that come to live in Romania for a longer period of time, long enough to need a place to call HOME, we are proud to say that we have come to understand the lifestyle of an expat better than anyone else. Tudor Estates has an impressive portfolio of properties in the best residential areas in Bucharest and successfully represents some of the biggest multinational companies that have established offices in Romania. We have many satisfied clients to account for, an unique and most helpful city tour accompanied by our very own printed city guide, custom made to help you get accustomed to the city easily and trouble free. By offering a wide range of services, Tudor Estates wants to help the newly arrived expatriates, such as families, couples and singles, to enjoy an accommodation as smooth as possible. During your stay in Bucharest, we want you to benefit from our expertise, connections around the city, but most of all we want to be a trusted partner and this is why we have come to offer our clients a private dedicated line that you can call on 24/7. We, at Tudor Estates believe that "It's not the journey, it's the destination" that matters, because either you are a resident or an expatriate delegated here with work and you are staying for a definite period of time, at the end of each day "your every journey ends home". Therefore we have made it our only goal to help in getting you HOME.